We hope you’ve got tickets to the Central Coast’s massive Mountain Sounds Festival – because tickets have completely sold out. 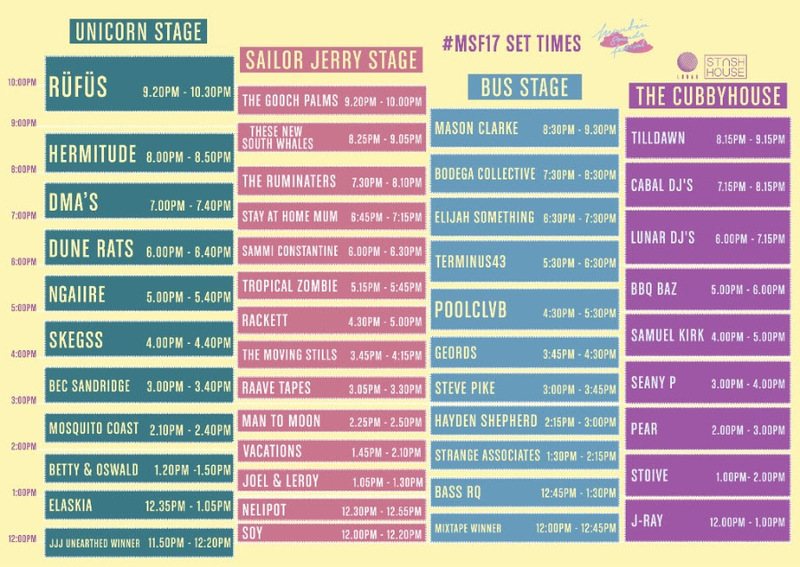 For the lucky ones who got in on time, set times and site maps have been released and the Triple J Unearthed winner has been announced for the festival taking place on February 18th. Now in its fourth year, Mountain Sounds features some of Australia’s finest talent the likes of Ngaiire, Skeggs, Bec Sandridge, DMA’s, Hermitude, and RÜFÜS. And who could forget Speaker TV faves Dune Rats, who killed it at Beyond The Valley, as well as recently scoring two spots on Triple J’s hottest 100. Just joining the lineup, and surely feeling right at home, are Central Coast duo Bad Decisions. Given the recent success of their new single Coming Down ft. Sammi Constantine, they’re not to be missed as they begin the day’s festivities on the awesomely named Unicorn Stage. To catch some up and comers, punters can head to the Sailor Jerry Stage to catch The Gooch Palms, These New South Whales, and for the lactose intolerant, Soy. If you’re more into DJ sets, head to The Bus Stage and The Cubbyhouse to have your fill of beats. 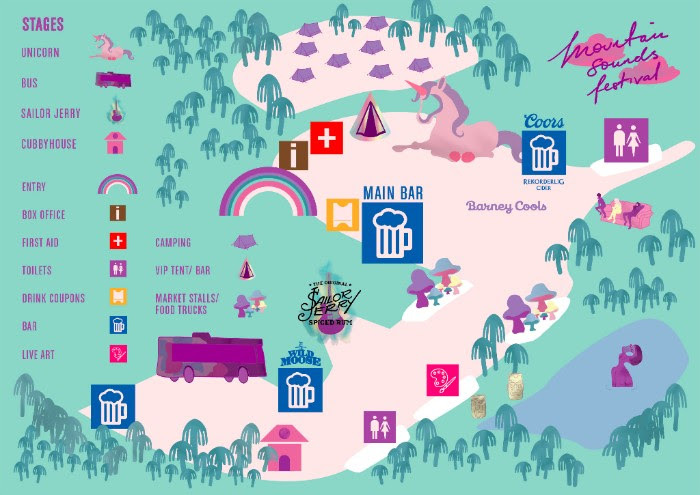 As if all of that wasn’t enough, Magic Mountain are hosting a fancy dress campground party on Friday the 19th as a free exclusive to all campers. That means ticket holders will have to nab a camping ticket (if they haven’t already) to gain entry, and luckily, camping tickets and extras are still available for purchase! Those who are unfortunate enough (or fortunate – it depends on how you look at it) to not own a tent can upgrade and have Wow Tents set everything up for you – including an air bed, a rug and atmospheric LED lighting provided… How fortunate! Mountain Sounds organisers would like to remind punters to keep it safe and clean as they pride themselves in putting on a local, environmentally sustainable event.